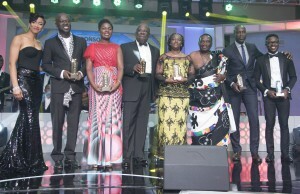 The Historic Ghana Legacy Honours Concludes With a Nod to a Great Future. 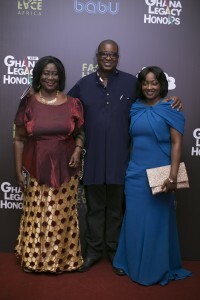 March 27, 2017- Accra, Ghana- On Saturday, March 25th, Bábu Global hosted the inaugural Ghana Legacy Honours at the Movenpick Ambassador Hotel in Accra. The exquisite black-tie gala was one of the most historic events in Ghana as both local and international pioneers of Ghanaian descent were honoured for their achievements and contribution towards the legacy of Ghana. 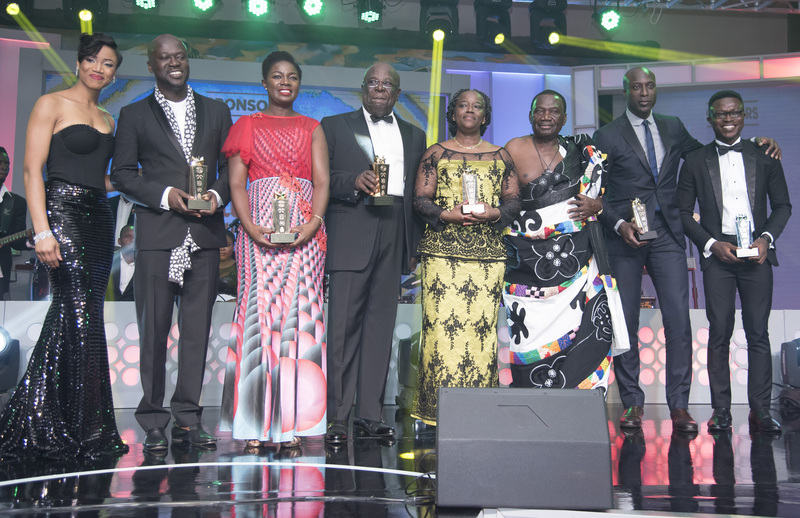 Business magnate Sir Sam Jonah received the lifetime achievement award for his impact on Ghanaian business. Other honourees included head of the anti-corruption unit at the African Development Bank, Anna Bossman, tech innovator Herman Chinery-Hesse, and CEO of Airtel Ghana Lucy Quist. World renowned architect Sir David Adjaye who designed the new Smithsonian National Museum of African-American History in Washington D.C. received the Impact in Architecture Award, and renowned men’s fashion designer Ozwald Boateng received the Impact in Fashion Award. The evening kicked off with an intimate cocktail reception where guests were able to mingle and network. They were then ushered into the main ballroom for the award ceremony, which was hosted by award winning actress Ama K. Abebrese and legendary comedian Kwaku Sintim Misa (KSM). Overall, the room was filled with much inspiration as the honourees gave powerful award acceptance speeches reflecting on their journey. The Ministry of Foreign Affairs has denied authorizing the deportation of some Ghanaians living abroad. According to the Ministry, rumours that it has sanctioned the deportation of citizens in the diaspora are deliberate attempts to malign the Minister, Shirley Ayorkor-Botchwey. A section of the media recently reported that the ministry backed the deportation of some undocumented Ghanaians living outside the country. “Honourable Shirley Ayorkor Botchwey articulated that very well during her vetting. She also indicated that much as missions abroad could not interfere in the affairs of any sovereign country, to have the status of undocumented Ghanaians regularised, she would engage those countries to ensure that our nationals are treated in a humane manner, whenever the need arises and do all that she can to protect their interest, by extending to them all the consular assistance that they are entitled to as Ghanaians”. Hon. Ayorkor-Botchwey only noted that, she will ensure Ghana’s Missions abroad meet with citizens in the diaspora and appeal to them to come home to assist, but never said she will sanction their deportation back to Ghana. The Hon. Minister insisted on engaging countries where undocumented Ghanaians were residing to ensure they were not maltreated. “The Ministry of Foreign affairs and Regional Integration has not issued directives for the deportation of any Ghanaians living abroad,” it added. “The general public is therefore entreated to disregard those negative reports which seek to malign the person of the Minister for Foreign Affairs and Regional Integration and the Ministry as a whole”. Accra, Jan. 7, GNA – Nana Addo Dankwa Akufo Addo was on Saturday sworn in as the new President of Ghana, who takes over from out-going President John Dramani Mahama. The President took both the Oath of Allegiance and Oath of Office. 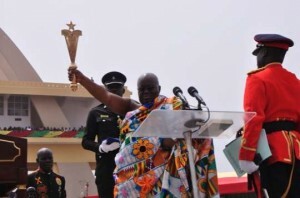 “I Nana Addo Dankwa Akufo Addo do in the name of the Almighty God swear that I will bear true faith and allegiance to the Republic of Ghana as by law established; that I will uphold the sovereignty and integrity of Ghana; and that I will preserve, protect and defend the Constitution of the Republic of Ghana. So help me God. “that I will at all times preserve, protect and defend the Constitution of the Republic of Ghana; and that I dedicate myself to the service and well-being of the people of the Republic of Ghana and to do right to all manner of persons. The oath was administered by the Chief Justice, Justice Theodrora Georgina Wood, before the Speaker of Parliament, Professor Aaron Mike Ocquaye, the newly elected Speaker of Parliament of the Seventh Parliament of the Fourth Republic and 275 Members of Parliament who had temporary transformed the Independence Square into Parliament House. The Diaspora Affairs Bureau of the Ministry of Foreign Affairs and its partner Stakeholder Ministries and Agencies has started consultative processes towards the development of a National Diaspora Policy. Click here for details. The Ghana Community Hamburg and other Diaspora groups are expressing their condolences with the families and victims of last week’s disaster that took over 150 lives in Accra. 2. Below is a statement by the Ghana Physicians and Surgeons Foundation of North America (GPSF). On behalf of the Ghana Physicians and Surgeons Foundation of North America (GPSF), I send my deepest condolences to the government of Ghana and to everyone affected, particularly to the families and friends of the over 150 Ghanaians killed and injured in the unprecedented flooding rains and explosion at the GOIL filling station in Accra on the night of June 3, 2015. The GPSF is a member-based organization of medical professionals in the US and Canada who are from Ghana and/or who have a vested interest in working towards improved healthcare in Ghana. As we absorb the shocking news of the untold tragedy that befell our beloved Ghana, the GPSF mourns along with Ghanaians at home and abroad. We pray for speedy recovery of the injured; for fortitude to honour all lost lives, and for the strength and resolve to heal. It is our prayer and hope that these innocent lives that were cut short will not be in vain but will motivate the country to come together to take appropriate remedial actions to avoid such a disaster and needless deaths from ever happening again. As an organization of physicians, we stand in readiness to deploy our expertise to help in any way possible. We are mobilizing our membership and coordinating with leaders at the 37 Military Hospital, Police Hospital and the Korle-Bu Teaching Hospital to provide needed material and manpower support in treating injured patients and appropriate sanitary disposition of the dead. May the souls of the departed rest in eternal peace and may their families and friends find fortitude in these trying and difficult periods. The Federation of Ghanaian Diaspora in Europe (FEGHADE) on Monday said it stands in solidarity with fellow Ghanaians who had been affected by the fire outbreak at the Ghana Oil Company Limited (GOIL) Filling Station, which claimed 139 lives last Wednesday. The statement called on all Ghanaians to be each other’s keeper and participate actively in the efforts to eliminate the elements that led to the tragedy. The consultative meeting on the diaspora Engagement Policy with the Ghanaian diaspora was held from the 28th to 29th October, 2014 at the NH du Grand Sablon Hotel, in Brussels. The meeting aimed at fostering dialogue and interaction between the actors involved. The purpose of the consultative meeting was to provide opportunities to the Ghanaian diaspora to share their views, input and make recommendations on the future Ghanaian Diaspora Engagement Policy both on its vision/structure, content and their possible contribution to its implementation through various forms, so that the information could further be used at the stage of identifying policy options for implementation purposes. The meeting was organised within the framework of the MIgration European Union eXpertise (‘MIEUX’ project), a joint initiative between the European Union and the International Centre for Migration Policy Development, which aims to enhance the capacities of partner countries in the management of all areas of migration and the Diaspora Affairs Bureau of the Ministry of Foreign Affairs and Regional Integration. Ghana’s delegation comprised H.E. Mr. S.J.K. Parker-Allotey, Director/Policy Planning Monitoring and Evaluation Bureau & Ambassador Designate to Japan, Mr. Solomon Korbieh, Assistant Director I Diaspora Affairs Bureau, Mrs. Nana Yaa Opandoh FSO A4 of the Diaspora Affairs Bureau, Dr. Richard Adjei, Principal Investment Officer, Ghana Investment Promotion Centre, Dr. Alhassan Osman Abdul-Rahman, Senior Research Fellow, Centre for Migration Studies University of Ghana and Mr. Adam Abdul-Rahman, Head of Chancery, Ghana Embassy in Belgium, Luxembourg and Mission to the European Union. Aside Ghana’s delegation, there were Twelve (12) selected Ghanaian diaspora representatives from Belgium, France, Germany, Italy, United Kingdom, and The Netherlands as well as some MIEUX experts Ms. Stella Opoku-Owusu from AFFORD and Mr. Kingsley Aikins from Diaspora Matters also guided the discussions and provided inputs. The Consultative Meeting was composed of nine (9) sessions. Delegates from the 6 European Diaspora Associations gave presentations on the Ghanaian Diaspora in Europe. Motivational speeches were also presented. The outcome of the meeting was the creation of an Umbrella Organisation for Ghanaians in Europe. This will aim at defending and enhancing the interest of Ghanaians in the Diaspora. It received the blessing of the Representatives of the Diaspora Affairs Bureau of Ghana’s Foreign Ministry, the organisers, participants and stakeholders. Its work begun immediately at the same meeting in Brussels. ROPAL and the right to vote for Ghanaians living abroad to vote in Ghana’s Parliamentary and Presidential elections by H. E. Mr. S.J.K. Parker-Allotey, Director/Policy Planning Monitoring and Evaluation Bureau & Ambassador Designate to Japan. The Ministry Foreign Affairs and Regional Integration in collaboration with The African Diaspora Policy Centre, based in The Hague, The Netherlands has begun a three-day training programme for stakeholders and post-bound officers at the Ministry on 2nd July 2014. The training programme, intended to enhance the capacity of trainees in diaspora engagement, will focus on the relevance of diaspora engagement, forms of diaspora engagement, evidenced-based policy for engagement, building confidence and trust, the role of the diaspora and Government in the engagement process, among others. Prof. Fantu Cheru, the consultant for the training, stressed the need for country ownership of the engagement process with government support at the highest level. He also explained the need for inclusion of diaspora engagement in national development policy with focus on regional and sector specific programmes as well as an effective engagement strategy and coordination. He affirmed that Ghana’s focus on national development for Diaspora engagement is appropriate in view of the country’s vision for development. 1. There is an ongoing attempt by Ghana Unions across the UK to form the umbrella body National Council of Ghanaian Unions UK (N.C.G.U) to coordinate and facilitate joint action for the benefit of the Ghanaian Community in the UK. Read the initial press release here. We encourage the leadership of other Unions who are not in the known to establish contact with the organisers of this noble idea. Watch free movies on 123movies https://www.123movies.gdn 2019. | Sexopretoria.com the site is a great opportunity to meet a girl of your dream.